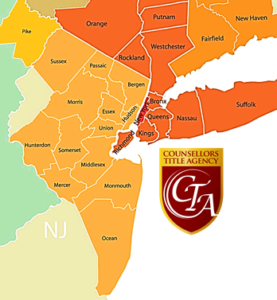 The negative factors forcing buyers to flee New York City, high income tax, high sellers’ prices and limitations on deductibility, seem to have made buyers turn into New Jersey’s adjoining Bergen County, looking to get a bigger bang for their bucks. Bergen County only saw a slight dip in the median sales price of a single-family home from $442,000 to $440,000 year-over-year. But the demand for properties in Bergen County has not abated as it has in New York City, with closed sales for the month of February climbing 12% year-over-year and days on market falling by 14% from 86 days to 74 days. Currently there is 4.2 months supply of homes on the market in Bergen, which is a drop of 14.3% from 2018, representing a serious inventory shortage. The other factor that has to be considered in this decline is that a New Yorker pays the most in state income taxes, out of all 50 states. This information comes from the Tax Foundation, calculating that New Yorkers pay $2,249 per capita is state income taxes. Connecticut came in number two, with individuals paying $2,218, and Massachusetts coming in third, with individuals paying $2,146.It is no wonder why properties are selling faster in Bergen County with more reasonable prices and taxes than Manhattan. According to the Elliman Report, New York City now has a 9-month supply of homes available for sale, which is a jump of 9%, whereas Bergen County earlier reported a cut of total properties for sale.